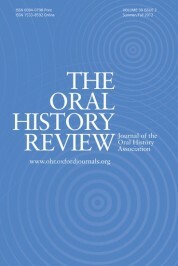 Hearing to Heal: Story For All founder Angela Zusman is interviewed about the healing pedagogy employed by Story For All in this article published by the Oxford University Press. 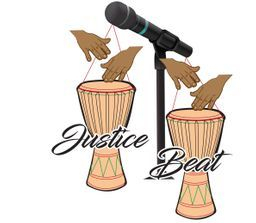 Justice Beat Radio – “Rewriting the Narrative of Marginalized Communities of Color Through Storytelling.” An interview with Story For All’s Executive Director, Angela Zusman, about the power and necessity of lifting up and promoting authentic stories in and about communities of color to shift perceptions and both motivate and inform policy change. Listen to the interview here. Changing the Narrative of Young Black Men in the Delta discusses the launch of a project which “addresses school discipline, juvenile justice and the negative profiling of young men in the Delta County.” Read the full article here. Advocates are Building a Model to Disrupt the School-to-Prison Pipeline in Mississippi – and Beyond. Read the full article by Janerick Holmes. Students Learn to Rock Rights. Read the full article by Kathryn Eastburn. SFA and The SHINE have partnered with Sunflower County Systems Change and the Mississippi Center for Justice to dismantle the pipeline to prisons policies for minority youth. Watch the interview on NABJ-TV’s Metro Morning Live with Chellese Hall here. Jackson Medical Mall Foundation’s $3 million ArtPlace America investment will incorporate arts and cultural strategies into its community development work over the next three years. Read Sherry Lucas’ full article from The Clarion-Ledger here. In this TEDx talk, Zusman discusses the power of story and how stories can be used both as weapons and as instruments of healing and peace. Watch the talk in it’s entirety here. Young African-American men speak up to tell the truth about what it’s like living in Oakland. Read Julia Park Tracey’s full article, from The Monthly’s July 2015 issue, here. The voices uplifted by our African American Oral History Project and the accompanying book and exhibit, The Griots of Oakland, gave the media something both authentic and positive to report about. Click here to watch the CBS interview with Story For All’s Executive Director, Angela Zusman. Alameda County: Librarian connects incarcerated youths to lesser-known writers. Click here for full article. Our most recent book, The Griots of Oakland: Voices from the African American Oral History Project, is making its way into the national consciousness. Click here for a reference to our book made in a great article by Wyatt Closs in the Huffington Post. Dreams were discussed, role models were named, and discriminating beliefs were challenged. There were stories that yearned to be told and needed to be told. Click here for full article. Debora Gordon is an educator and writer for Oakland Voices, a web component of the Oakland Tribune. She interviewed Story Bridges (now Story For All) ED Angela Zusman and visited the African American Oral History Project, interviewing several interns. Read her full article here. Oakland Tribune Columnist Brendy Payton, wrote, “The first thing you notice is they don’t look or seem like the stereotypical images of young African-American men. Even the young man with the gold grill — he also wore a collegiate-looking sweater. Of course, that’s the point of The Griots of Oakland.” Read her full article here. “Having this exhibit at our youth center will enable us to tell the stories of Black people in the United States. It’s a powerful and reinforcing project that instills a lot of pride in our students,” said Kharyshi Wiginton, Youth Leadership and Administrative Coordinator at McClymonds. Read the full article here. To listen to Nikki’s interview with both Angela and Brenden Anderson of the African American Male Achievement on the Griots of Oakland project, click here. In the grand tradition of oral history, a new non-profit invites communities to preserve their culture through storytelling and promotes shared understanding that brings us all together. Hear the entire interview here. Eric Nobles, a senior at Dewey Academy, was one of five boys celebrated for his contribution as a ‘griots’, a West-African word meaning storyteller. As Nobles clutched the microphone, he told the audience the experience had been eye-opening. “I got a whole different perspective on Oakland,” he said. Read the full article here. Click here for reviews from the Bay Area community. Click here for Amazon reviews. Click here for Barnes & Noble reviews.